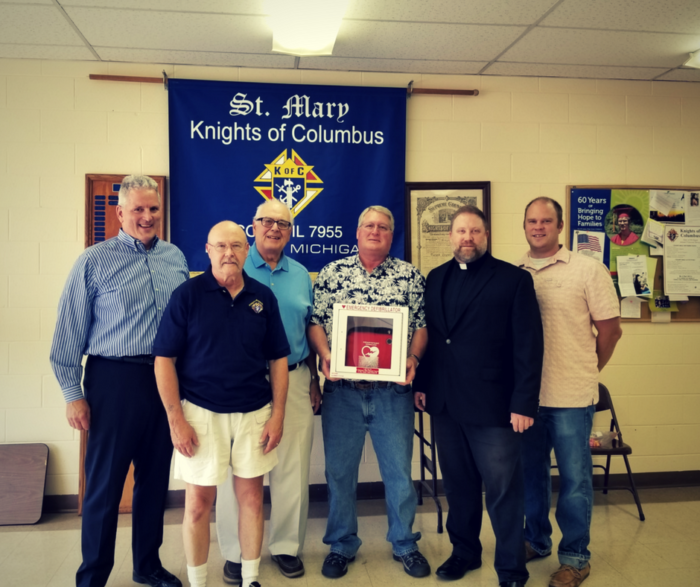 The Durand St. Mary Knights of Columbus Council 7955 received an Automated External Defibrillator (AED) on Friday, June 22, 2018 to be placed at Durand St. Mary Parish Church. The AED was provided through a grant from the Mackenzie L. Watts Memorial Fund, which is held at the Shiawassee Community Foundation. George Watts presented the device to the church in memory of his daughter, Mackenzie, who passed away at the age of 15 from a heart condition. Mackenzie Watts was born in Owosso, Michigan to George and Laurie Watts. She was active at her church and at Howell High School in clubs such as swimming, choir, and soccer. She was known by those around her as a natural leader who was always supportive, determined, and optimistic. The Watts fund serves two purposes, one of which is to provide AEDs to local organizations in memory of Mackenzie. An AED is a portable medical device that is able to reestablish a natural heart rhythm in the event of a sudden cardiac arrhythmia.  In addition to these grants, the Watts fund also offers college scholarships to high school seniors in the Howell Public School District who have participated in choir, soccer, or swimming/diving. For more information about the Mackenzie L. Watts grant and scholarship opportunities, please visit www.shiacf.org. George Watts (far left) and his son-in-law T.J. Lekander (far right) present an Automated External Defibrillator to the Durand St. Mary Knights of Columbus, represented by (from left) Don Mellott, Tom O’Brien, Denny Schmidt, and Father Jonathan Perrotta.